It goes without saying that the network infrastructure needs of college and university campuses have changed rapidly. Students and faculty rely on technology more than ever, and—especially in today’s BYOD (Bring Your Own Device) world— it’s an integral part of living, learning, and working on campus. But high-performing wireless connectivity is important for more than just optimizing daily college life. Properly designed and deployed wireless networks are a matter of safety and security. College and university campuses around the world are embracing wireless technologies in ways that were unimaginable even a few years ago. College IT departments certainly face more challenges today than they used to, from increasing numbers of mobile devices to outdated Wi-Fi infrastructure to obsolete RF designs and new security threats. But safety is one area that all campuses need to prioritize. 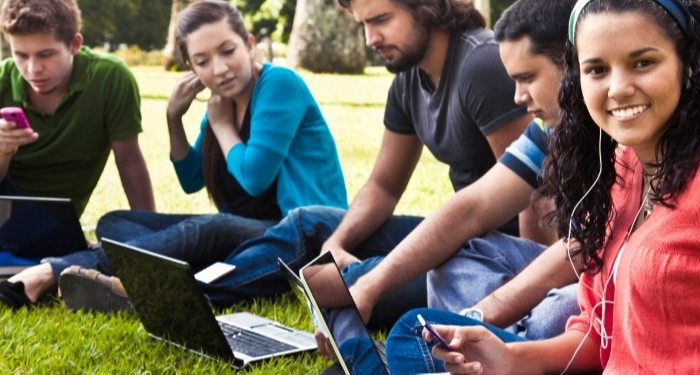 Here are 3 critical areas of campus safety that rely on an interference-free wireless network to protect students, faculty and staff—and why poor wireless connectivity can become a dangerous safety risk. No one wants to imagine any kind of emergency befalling students or staff on a college campus, yet the occasional emergency situation is inevitable. First responders need the ability to properly communicate during an emergency situation. Adequate wireless coverage is critical to ensuring reliable, interference-free radio communication for first responders. Coverage needs to encompass both indoor and outdoor areas. From dormitories to classrooms to every other facility on campus, in-building and outdoor wireless coverage is key—and it is even required in many jurisdictions today. This focus started in major metropolitan areas, but with the re-banding and digitization of 2-way radio signals, the NFPA (National Fire Protection Association) and IFC (International Fire Code) have increased the breadth of their recommendations relating to indoor public safety coverage. Depending on your jurisdiction, there are increasing numbers of fire codes requiring that any new or renovated building have public safety coverage systems installed. Even if a public safety system isn’t required in your area today, there are more and more dead zones for first responders. FirstNet, the upcoming nationwide public safety network, is based on 4G LTE signals. If there is not 4G coverage in your building today, you may not have public safety coverage for the FirstNet system. Look into your facilities coverage today and if your not able to determine your coverage capabilities contact the ANS Team for guidance. Currently trending, a high volume of colleges and universities are adopting mass notification systems to alert students and staff of emergencies via text message, email, social media, digital signage, and other channels. The logic behind the implementation of these systems is sound—who doesn’t have their phone on them constantly today? However, the investment in this technology is only effective if the campus’s wireless network can support it. Students and staff need to be able to receive communications wherever they are…..no exceptions. The so called “Dead zones” will not suffice when communication is at its most critical. Wireless access systems are becoming increasingly popular security solutions for numerous campuses. Having the necessary visibility and control of who, what, where, when and how people are accessing all buildings within the physical campus is crucial for everyone's success and safety. Wireless access control allows you to create rules to manage who accesses your campus facilities. It also allows the implementation of wireless locking systems for physical security, allowing only people with the right ID credentials to access certain areas of campus. All of which is crucial for managing visitors, securing perimeters, and creating emergency lockdowns. Wireless access control systems require one of two technologies: Spread Spectrum or WiFi. First method; a 900MHz or 2.4GHz Spread-Spectrum communication module, along with the card reader, is installed to a panel interface module (PIM) and, from there, onto a hardwired source network. The second method is 2.4GHz/802.11 WiFi, in which communication is sent from the card reader or sensor directly to a WiFi antenna and onto a network. Colleges and universities are increasingly investing in a high bandwidth network infrastructure to support the future of their campus. So, while interconnected devices may be a reality, their performance and effectiveness rely entirely on reliable and interference-free connectivity. *Note: This spectrum and the upcoming *OnGo Certified Devices (that will support high bandwidth applications allow schools to control their network, coverage areas, and supported devices in a highly reliable and secure way. The ROI (Return on Investment) for this is higher and more appealing than relying on a traditional carrier’s network to fulfill these functions. In-building wireless coverage is one particular area that higher education institutions are addressing rapidly. A Distributed Antenna Systems or DAS, is a network of equipment and antennas that send and receive cellular signals on a carrier’s licensed frequency. DAS provides greater reliability, allows for the easy addition of bands, remotes and antennas, and can provide connectivity in a campus setting from multiple telecom carriers. Both of these solutions contribute to a safer campus by creating a high-bandwidth and interference-free network that has the right capabilities to support the growing demands of today’s campus safety systems.